Café Orgánico Marcala (COMSA) was founded in December of 2001 with a vision of creating new and alternative development opportunities for small-scale coffee farmers in the region. 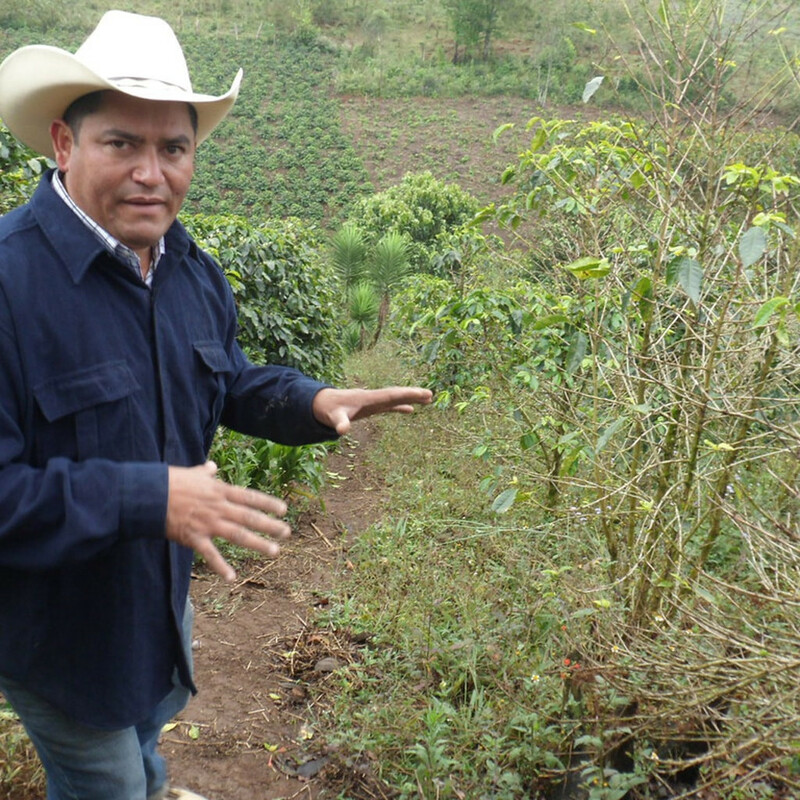 The organization originally brought together 69 small-scale farmers of Lenca origin who were interested in selling their coffee collectively under the umbrella of a rural credit union. At that time, the predominant production system in the region used conventional (chemical) practices and sold to the local coyotes, often at prices that did not even cover their production costs. One of the primary founding objectives of COMSA was to seek out and promote new ways of thinking – both in production, moving from conventional to organic production; and in markets, moving from commercial to specialty buyers. In the beginning, the challenges were enormous as transitioning from conventional to organic practices can cause dramatic drops in production yields. Many members became discouraged and dropped out of the organization. In response, the COMSA BoD and technical team looked for new methods of intensive organics to support their transition and established a strategic alliance with the Corporación Educativa para el Desarrollo Costarricense – CEDECO. With CEDECO’s support, staff and members of COMSA learned new and innovative practices to transform their lands into integrated organic farms – promoting soil and water conservation, and the preservation of local plant and wildlife. Meanwhile, members began to see improvements in coffee yields, better family relationships and rapid growth in membership for COMSA. With their initial successes, members became more and more open to experimentation with innovative organic practices. Their organic evolution is as follows: 2001 – use of organic materials, 2006 – application of micro-organisms in compost; 2010 - exploring the use of minerals; 2012 – production of fermented live solutions; 2013 – strengthening the knowledge base of their technical team and members with strong educational program for their youth and women’s groups. In 2015, COMSA exported some 53,000qq (140 containers) of high quality green coffee, with the unique regional characteristics of Marcala: medium body and pronounced acidity, and nuances of floral, lemongrass, peach, wild berries, etc. This coming harvest, COMSA expects exports to approach 100,000qq (240,000). In order to assure best quality control, COMSA now manages their own wet and dry processing plants and are organic certified with Biolatina and export under FLO, SPP, Denominación de Origen Marcala (DOP) and UTZ. Click to purchase this coffee now! Arabica – Catuai, Caturra, Lempira, Pacas Citric acidity, medium body, honey, mango and bitter chocolate flavors.